Apothocary Jars have many uses for an event. A great way to use them is as a candy holder for your sweets table. 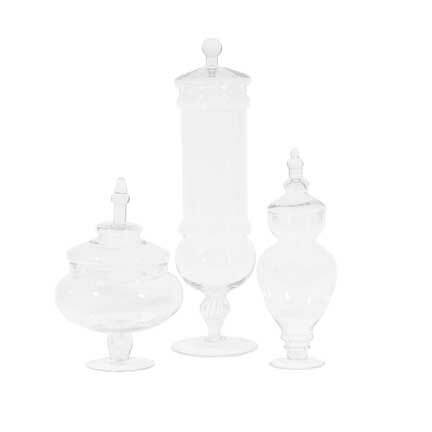 We carry many different sizes and shapes of Apothocary Jars. A scoop for the jars is rented separately. These items cannot be shipped.